Solihull MBC – SEND Reforms Agenda. 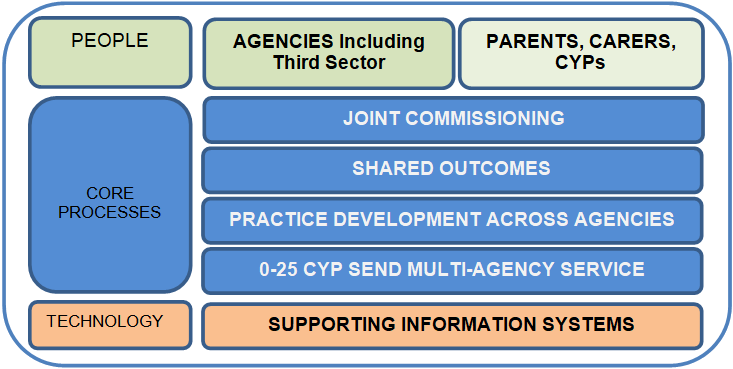 The Children & Families Act contains a much heralded programme of fundamental change to the way that children and young people (CYP) with special educational needs and disabilities (SEND) are assessed and service provision is planned for into the future. The SEND reforms are a significant set of cultural and systematic changes which are designed to improve outcomes for children and young people with SEND. The new service will aim to provide a holistic service and the operating model required to support the new ways of working in a multi-agency environment are highlighted below. 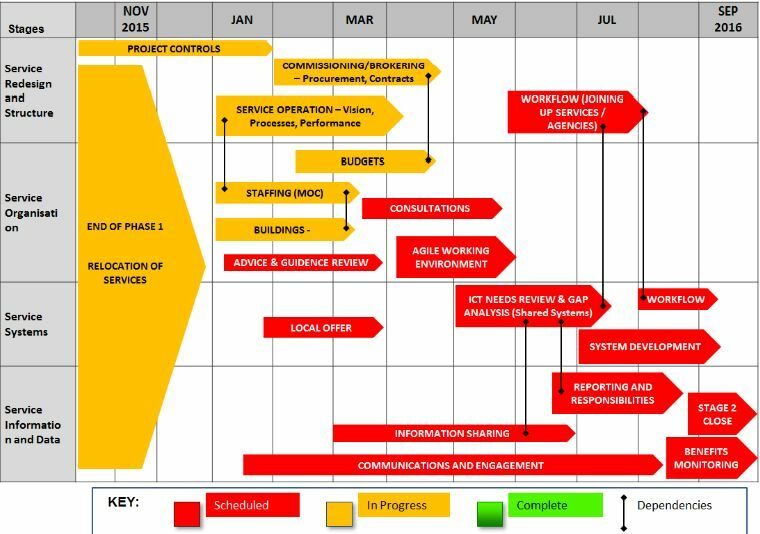 The operating model highlights the people, processes and technology necessary for the service to operate effectively. To make the service as efficient and effective as possible by end of the project. The language and terminology used is easily understood by all agencies, parents, young people and families. The end users (i.e. CYP’s with disabilities and special needs) see a difference in the services and support. There is more clarity for YPs and Families in knowing how to access services (transparency in both the processes and outcomes).